Thanks Captain Ewok and the VJ crew. The new look seems well thought out and very crisp and up to date. Thank you. 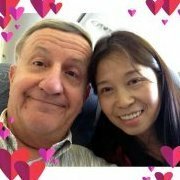 I seldom check in anymore as my wife is now a US citizen, or as she says "CBA" (Chinese Born American). I do frequently recommend this site to others. Well done! You really helped us on our journey. Hello Jim ! You like the interface, ah ? ok !